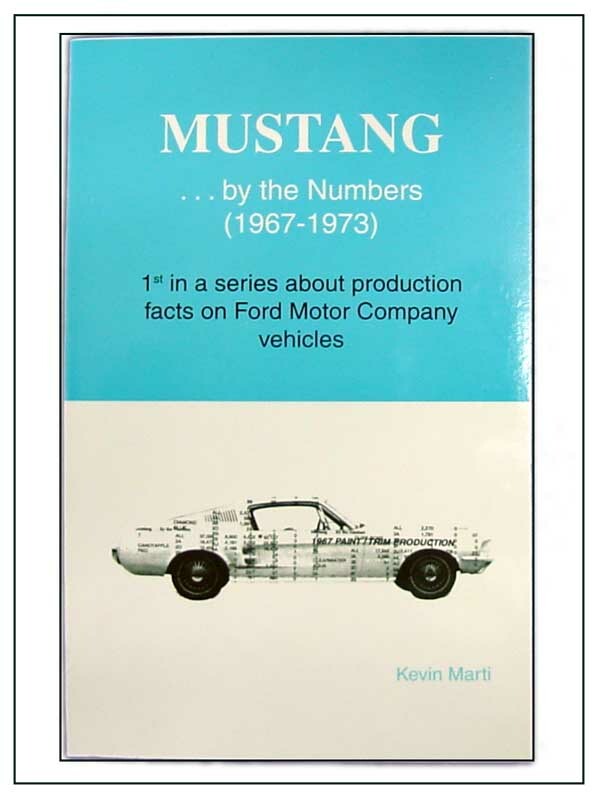 Mustang...by the Numbers, 1967-73" is a book with over 12,000 statistics about how many Mustangs were built each year with various paint/trim, engine/transmission, and option schemes. In addition, text and charts provide deeper understanding of trends that were developing such as the phenomenal growth of what used to be considered luxury options. Charts are very user-friendly without the need to read the text for quick reference on a host of questions.